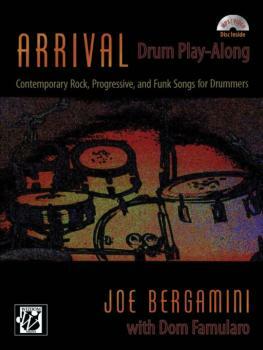 Drummer/educator Joe Bergamini presents 10 exciting tracks with his Arrival: Drum Play-Along. 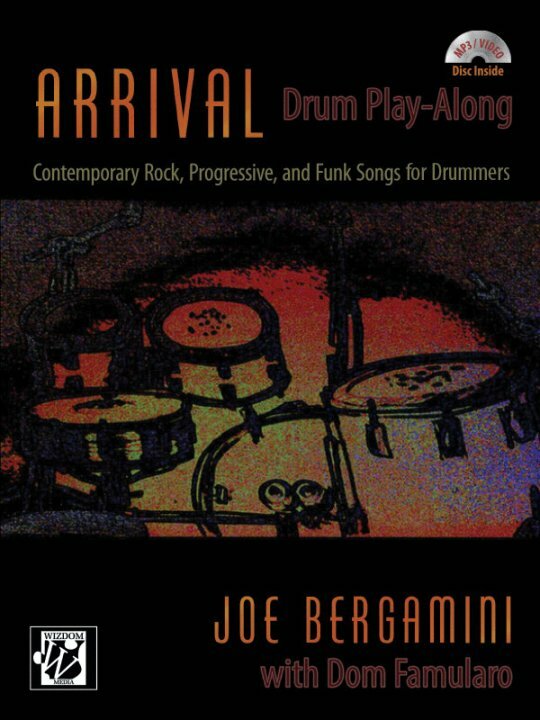 Known for his playing in progressive rock circles, Joe provides creative groove and fill ideas for these songs, which appeared on his critically acclaimed 1996 album Arrival. The album began as an idea from co-author Dom Famularo, which led Joe to recruit 4Front guitarist Zak Rizvi to create these songs, which range from rock to reggae, ballads to double bass, funk to 12/8, and more. Beginner to advanced-level players will find lots of exciting material to sink their teeth into. These songs have been specifically designed with performances, clinics, and recitals in mind. In addition to the charts, grooves, and fills, the included MP3 disc also contains each song with drums, minus drums with click, and minus drums with no click. Using these tracks, you can simulate a recording studio environment by playing along with the click, or use the versions without click in performances and recitals.